Update: This has since been fixed. I'm quite sad about this one. 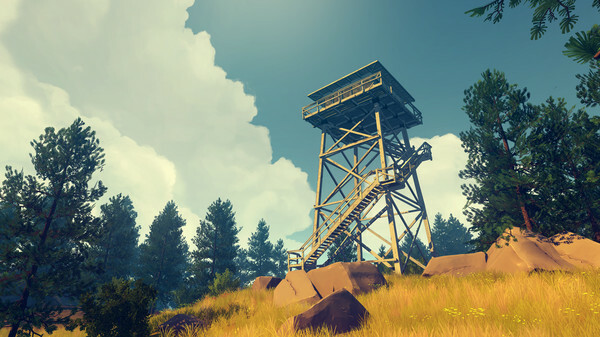 Firewatch [Official Site] is currently rather broken on Linux. You are unable to move your mouse once you get in-game, making it essentially unplayable. It seems to have been broken since the end of September too, locking out Linux gamers (like me) from enjoying it. I had planned to finish it during tomorrow's livestream, but it looks like that will be replaced by another game. You can see a forum post here on Steam with over 100 posts in it. This problem is Linux specific too, meaning the game simply wasn't tested for any length of time on Linux with the patch in September. This is sadly a recurring problem I see all too often. You can argue that the developers might not have thought that update would break mouse movement, but loading up a game on a platform you're supposed to support for even 5 minutes for each patch to make sure it's still playable is a must. I'm not happy with this, but it seems GOL contributor "Cheeseness" is currently in talks with the developer to help fix it, so cookies to him. Has a recent patch done this? played this and finished it a few months back and it was fine, Great game. I cannot even pass the start screen, the game freezes. Using the radeonsi driver in a RX 470. The game worked nicely -before- that patch, so it must be that. I am happy that I already finished it. But yeah, if you officially support a platform, you need to test your release candidates against it. Gah! I last played it on the 7:th of October (second playthrough, picked up the new achievments) and it worked fine then. Still, this issue sounds like the one I had when the game was first released. The mouse only worked properly in the menues then, but in the game itself control was almost impossible, this was quickly fixed with a patch though. it apparently works fine! You just can't use the mouse if you continue from a saved game. The problem does not seems to affect all users, first you need to have not played the game in one go like most gamers will do, second you need to be using the mouse and not a controller, third even here it seems to depend on how far you are in the game. Given that, I don't think you can blame the developers for not seeing this bug during the testing phase. But I do agree that such a bug should be given priority and would probably already have been fixed if this was the case. This is a game I intend to play at some point. Hopefully it'll get fixed soon.